Patent Attorney – Small Law Firm – Westborough, Mass. Bainwood, Huang & Associates seeks practitioner with experience in electrical, mechanical, and/or software arts. Qualified candidates are licensed to practice before the USPTO and have a minimum of 2 years of experience preparing and prosecuting patent applications. Excellent writing and verbal reasoning skills are a must. Some industry experience is preferred. We require no book of business, although we support your efforts to continue serving your existing clients here. Our firm is conveniently located in Boston’s MetroWest, offers comprehensive benefits, and accommodates flexible schedules. We are proud of our diverse client roster and of our efforts to help our clients to succeed. We are committed to equal opportunity in hiring and to maintaining a positive and supportive work environment, where capable people can work hard to achieve their career goals. To apply, please provide your resume/other summary of work history to brubenstein@bainwoodhuang.com. 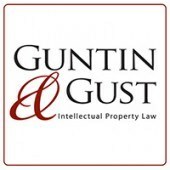 Guntin & Gust is seeking highly skilled and productive Patent Attorneys with a background in Electrical Engineering (EE). As part of our team you will be working with a diverse group of clients ranging from sophisticated mid-sized corporations to Fortune 100 companies. The scope of prosecution work includes telecommunications, medical products, RF products, gaming products, nanotechnologies, and other fields in the electrical arts. Clients have also engaged our firm to evaluate patent portfolios, draft licensing and patent sale agreements, perform re-exam evaluations, due diligence in M&A transactions, advanced inventing sessions, opinion work, and other services. We offer comprehensive benefits that are paid in full by the firm and a competitive compensation package that includes a base salary with a formula-based quarterly bonus. Our firm has a substantial volume of work that provides an attorney exceptional opportunities for career growth. G&G is proud to be an equal opportunity workplace committed to creating a diverse, inclusive and respectful environment for our team. Must have passed a state bar and the USPTO patent bar. 4+ years of law practice with “substantial” patent preparation and prosecution of US matters is required. A Bachelor’s or Master’s degree in Elect. or Computer Eng. is required. Telecommunications and/or actual engineering experience is a plus. A book of business is also a plus. Information regarding the last two years of billable hours and collections will be requested. Apply online on our website by visiting this link: https://www.ggip.com/careers/. Please provide a resume with academic transcripts. PolyOne, a $3+ billon world-class, global provider of polymer solutions with materials used in everyday products ranging from sports equipment to medical devices to electronics and more, is seeking an Associate Counsel, Intellectual Property. Under the guidance of the General Counsel and reporting to the Senior Counsel, Intellectual Property, this person will provide a full range of intellectual property legal support for portions of PolyOne’s businesses globally. As part of the company’s small in-house IP legal team, this position will play an integral role in building and managing a global IP portfolio aligned with commercial and technical objectives, identifying and advising on IP-related risks and other issues associated with development and sale of new products and other business activities, and promoting awareness of and compliance with IP-related policies and best practices throughout the global organization. This position will be based at PolyOne’s global headquarters located in Avon Lake, Ohio, a suburb of Cleveland. Relocation assistance for this position is negotiable. Drafts, negotiates, and advises on IP-related agreements and agreements containing IP provisions, including confidentiality agreements, development agreements, services agreements, license agreements, supply agreements, etc. Counsels internal clients regarding a full range of IP issues, including patentability, product clearance / freedom-to-practice, protection and use of trade secrets and confidential information, trademark protection and clearance, copyright protection and use, etc. Works collaboratively with existing IP team, other attorneys and staff within the Legal department, and individuals throughout the global organization from functions including Technology, Marketing, Product Management, Sales, Sourcing, Global Trade, Mergers & Acquisitions, Tax, Finance, etc. To succeed in this position, an individual must be able to perform each job duty satisfactorily and productively. The requirements listed below are representative of the knowledge, skills, and/or abilities required. Reasonable accommodations may be made to address gaps in experience for an otherwise qualified candidate who is willing to learn. Reasonable accommodations may be made to enable individuals with disabilities to perform the essential duties. In addition to the PolyOne Competencies required for all jobs, the following qualifications are required for this job. This position is global in scope. We offer a competitive salary, incentive and benefit plan to eligible employees. Benefits include medical, dental, vision, life insurance, disability, spending accounts, and 401(k). Apply online by visiting this link: https://polyone.referrals.selectminds.com/jobs/intellectual-property-associate-counsel-1289. Writing samples (published patent application and publicly available office action response) upon request. Patent Attorney / Agent – Law Firm – New Canaan, Conn.
Buckley Maschoff & Talwalkar LLC is actively seeking Patent Attorneys and Patent Agents with a background in Electrical Engineering, Computer Science, or closely related fields. We are located in Fairfield County Connecticut, just a short commute from New York City. Applicants should be registered to practice before the USPTO and preferably have at least two years of patent prosecution and patent drafting experience. Positions involve all aspects of patent prosecution, with opportunities for increasing levels of responsibility. We offer a highly competitive salary and benefits package. Our clients range from startups exploring the boundaries of machine learning and artificial intelligence to Fortune 50 companies that rely on us to build and strengthen their patent portfolios. Patent Attorney – Law Firm – Shelton, Conn.
HARRINGTON & SMITH, with an office in Shelton, Connecticut seeks an associate to join its intellectual property practice. The Firm's practice is predominantly limited to patent application preparation and prosecution. Candidates must have an undergraduate degree in Electrical Engineering or Physics or Computer Science and be admitted to the U.S. Patent and Trademark Office. Candidates must also have at least two years of patent prosecution experience. Must have at least one year of solid experience writing U.S. patent applications. Work will involve inventions in wireless radio communication technology (4G, LTE, 5G, etc). Senior Patent Agent – Large Corporation – Florham Park, N.J.
And we are constantly striving to become an even better place to work. 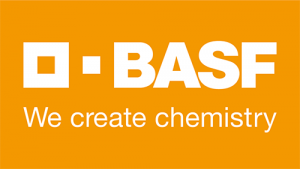 BASF has been recognized as one of America’s Best Employers by Forbes Magazine and Glassdoor .in 2017. Come join us on our journey to create solutions for a sustainable future! 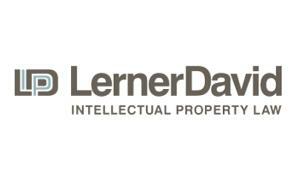 In this role, the Senior Patent Agent is integral in the continued development and protection of the global chemical patent portfolio, working under the oversight of the Patent Operations Leader. If selected for this position, you will be expected to provide high-quality legal support in a timely and effective manner. You will be a pivotal link between the R&D, Business Development, and Legal teams. In addition, you will support the development and implementation of the BASF Global IP Strategy, working collaboratively with counterparts in the US and Germany. You will identify and pursue valuable intellectual property generated in a dynamic research and development environment. The position requires an individual with initiative, strong legal skills, and extensive experience in patent portfolio development, including preparing patent applications and obtaining patents with limited to no supervision, plus a degree, or equivalent experience, in the chemical arts. Obtain robust patent protection for critical technologies and products with limited to no supervision. Act as IP project leader for individual research projects, global business units, and operating divisions; identify and articulate opportunities for patent protection; and develop, advocate, and implement patent strategies. Lead patent portfolio reviews with business units and operating divisions. Independently draft, file, and prosecute patent applications before the USPTO, including conducting examiner interviews and negotiations with the agency, with limited or no supervision. Directly manage and provide detailed filing and prosecution instructions and drafts to U.S. and foreign patent counsel. Prepare and manage the patent portfolio budget, aligning with business unit and operating division goals, and proactively seeking cost saving measures without compromising quality or patent scope. Conduct competitive analysis of patent portfolios with a detailed understanding of BASF products and technical developments. Provide training on IP issues to R&D and business colleagues. Provide patentability advice with limited to no supervision, conduct (under direction and supervision of counsel) analyses, including infringement and validity assessments, and perform landscape analyses. Support patent-related due diligence for commercial transactions, such as collaborations and licensing. Effectively communicate with IP colleagues, businesses (e.g., IP Managers, management, R&D) in Germany and other global sites at all levels in the organization, regarding patent matters, departmental and overall BASF processes, and to proactively address other concerns. Bachelor’s degree in Chemical Arts or a related discipline; advanced degree preferred. A minimum of 8 years of relevant work experience on Intellectual Property and/or legal teams. Registration before the U.S. Patent and Trademark Office (USPTO). In-depth understanding of US patent law, and general knowledge of foreign patent laws, including Europe and Asia. Self-starter as well as team player, working well with other patent practitioners and support staff. Excellent organizational, communication, and writing skills. Ability to work effectively in a changing environment, prioritize demands, and use keen judgment. Proficiency in working with intellectual asset management software (e.g., Anaqua), the USPTO Electronic Filing System (EFS), and PAIR. Experience in the chemical industry, particularly related to catalysts (e.g. emission catalysts) and related devices. Background in a corporate environment preferred, including experience working with various functional groups, building strong and enduring relationships. 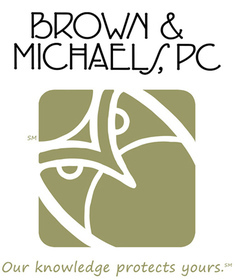 Experience in intellectual property post-grant procedures and litigation. Transactional and contract experience, particularly as it relates to protection of intellectual property and due diligence. Practical laboratory experience in chemistry or a related field. To apply, please visit this website: https://basf.jobs/north-america-bc/job/Florham-Park-Senior-Patent-Agent-NJ-07932/465043001/. 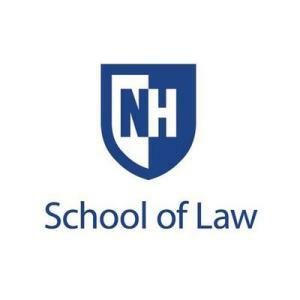 UNH School of Law is seeking a Director of the Patent Practice and Procedure Program, a full-time member of the law school faculty who oversees the most successful patent-practice-focused law school program in the country. The Director must be a strategic, innovative, and adaptive thinker who can successfully develop, update, and manage UNH's world-class curriculum in patent practice, and ensure that it is attentive to modern trends in the practice, for both residential and online students. Specifically, the Director teaches courses centering on patent practice and/or related IP topics; oversees adjunct professors teaching and serving as section leaders for patent-practice courses; works with practicing attorneys and alumni to determine current needs in patent law and practice, including in international markets; strategizes potential marketing and development initiatives related to the program; represents the law school in the patent-law community; and participates in faculty governance. For more information and to apply, please use this link: https://jobs.usnh.edu/postings/30562. 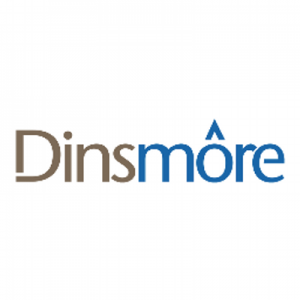 Patent Attorney – Law Firm – Pittsburgh, Pa. 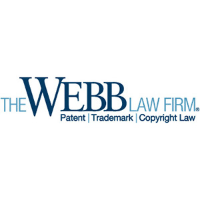 The Webb Law Firm, a Pittsburgh-based intellectual property law firm with a long-standing history, is seeking multiple associate candidates with a technical background in either Electrical Engineering, Computer Science or Mechanical Engineering. The firm is seeking qualified candidates holding at least a Bachelor of Science degree, a J.D. from an accredited law school, and a minimum of 4 years of experience as an IP attorney. Industry experience, or experience in software development for web-based applications, mobile devices, Internet or social media is a plus. Responsibilities include drafting and prosecuting patent applications (U.S. and international) and client counseling regarding patentability, infringement and validity, with significant opportunities to practice in all aspects of IP law, including litigation. Registration to practice before the USPTO preferred with prior industrial and/or legal experience helpful. Interested candidates should send cover letter, resume, undergraduate and law school transcripts and a writing sample to: msomerhalder@webblaw.com.